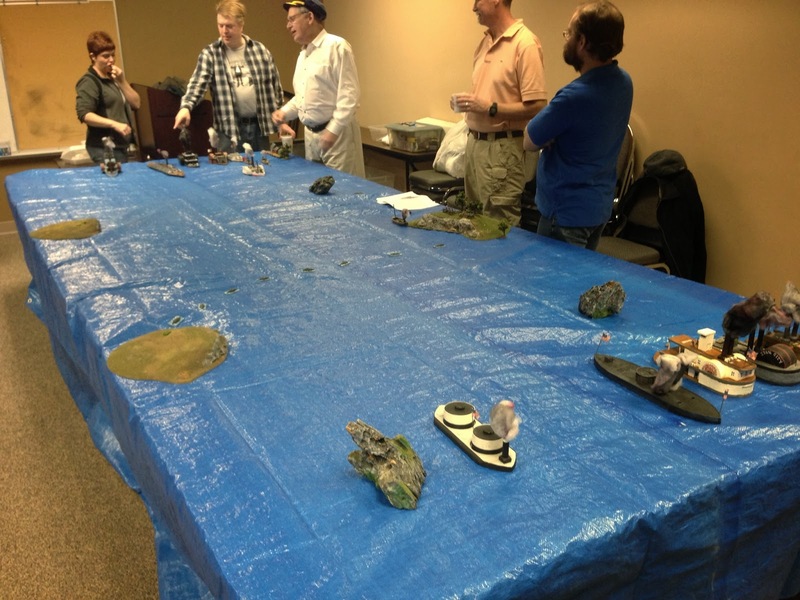 Cigar Box Heroes: ACW Naval Action! These are big boats...probably 12-18 inches long! 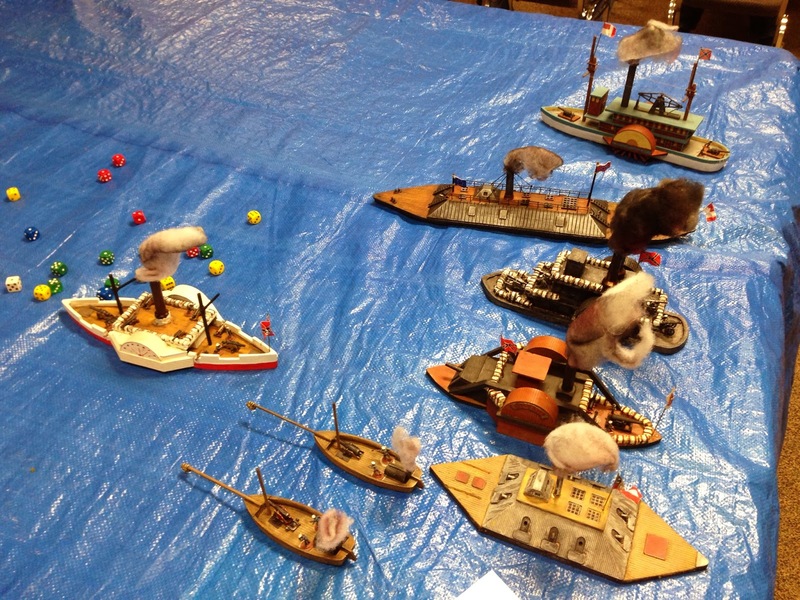 There is a line of torpedoes in the middle of the table and CSA artillery on the bank in the the right middle. 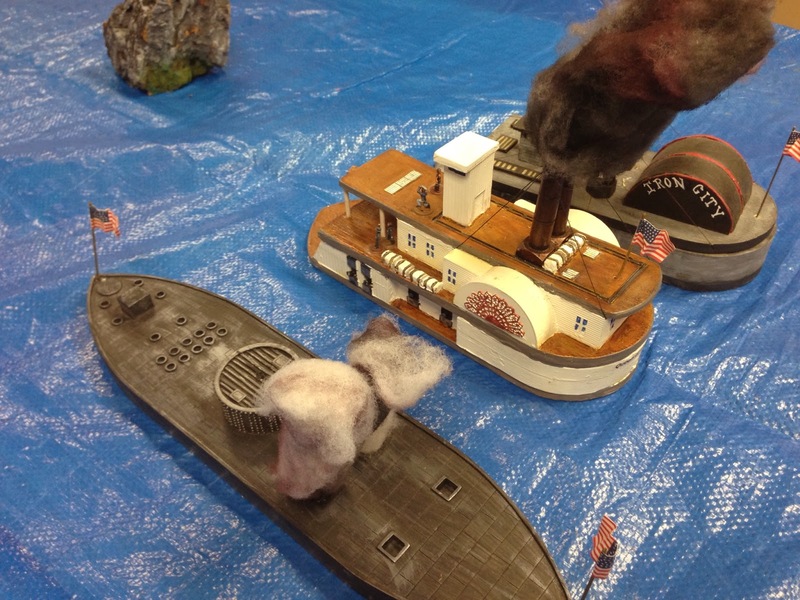 The Yanks come steaming up the river! A great temptation for me, we don't play naval battles in our club, and your ships are really great! Oh wow, that is a seriously impressive looking game! That board looks great! 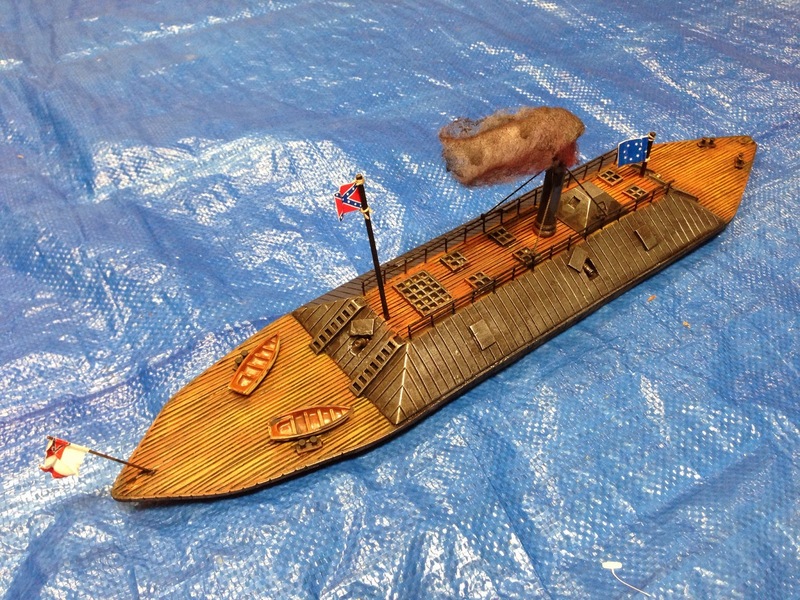 I just love Ironclads!